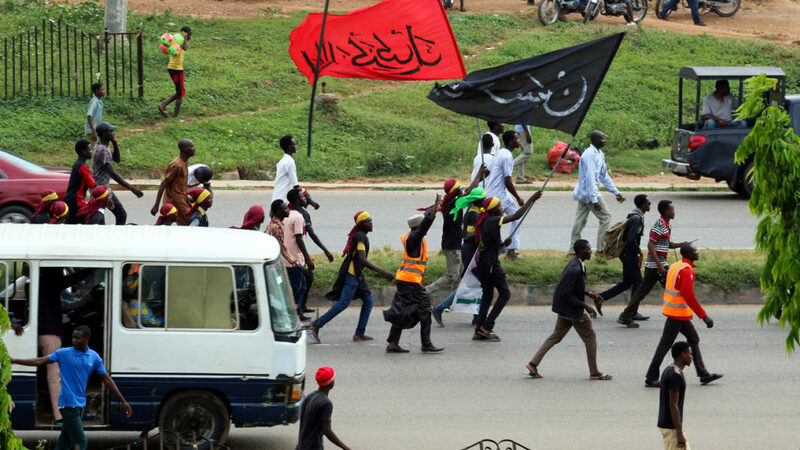 The Amnesty International, AI, has come under attack over its recent report that Nigeriaâ€™s security operatives approached members of the Islamic Movement in Nigeria (IMN) who protested in Abuja not to restore public order but to kill them. Coalition for Truth and Justice said AI was out on a â€œmission to cause the disintegration of Nigeria by operating as the legal arm of armed and violent groups in Nigeriaâ€. AI had in a report released on Wednesday, alleged that they have obtained a footage of a shocking and unconscionable use of deadly force by soldiers and police against IMN members. The report further claimed that the video footage and eyewitness testimonies consistently show that the Nigerian military dispersed peaceful gatherings by firing live ammunition without warning, in clear violation of Nigerian and international law. Reacting to AIâ€™s report, the body said it was not surprised over the report because AI had over the years given approval to the activities of violent groups in Nigeria such as Boko Haram, Independent People of Biafra (IPOB) as well as Islamic Movement in Nigeria (IMN). A statement by the National Coordinator of the body, Timothy Charles Esq said the constant concocted reports by AI on the situation in Nigeria showed that the organization was backing violent groups in the country. Charles, therefore, warned AI against the continued undermining of national security in Nigeria. The statement reads: â€œWhile there have been widespread concerns about the selective nature of the activities of Amnesty International (AI) in Nigeria in particular and Africa in general, this recent ugly outing by AI is considered as a threat to humanity. In some quarters, it has been suggested that Amnesty Internationalâ€™s website is a campaigning tool; it does not adequately reflect the depth of the organizationâ€™s expertise or its internal priorities. â€œWe, therefore, make bold to state that Nigeria will not be a good market to sell its commodity as the citizens will reject any false prophet in their midst. â€œWe are therefore not in doubt as to the motives of AI in Nigeria. While it is also understandable that it must continue to remain in business by churning out fake and unsubstantiated reports and statements, to please its paymasters, however, there is an urgent need for caution because Nigeria and Nigerians are now, more than ever aware of the fraud called Amnesty International, and are ready to resist it moving forward. â€œWhile it not surprising that Amnesty International has switched allegiance from Boko Haram to the Islamic Movement in Nigeria (IMN), it nonetheless indicates that Amnesty International has been unjustifiably meddling with the security affairs of Nigeria as a sovereign nation. And this has to stop immediately. We demand respect for our military who act in accordance with relevant national and international legislations for the benefit of our citizenry. â€œThis seeming repugnant attitude of Amnesty International was also manifested where it accused the Nigerian Military fighting Boko Haram terrorists in the Northeast of human rights abuses, whereas it has kept mum on the innocent women and children that have been victims of Boko Haram terrorists. This is the group that was silent on the continued detention of Leah Sharibu by Boko Haram and other humanitarian aide workers in Nigeria by Boko Haram. â€œAmnesty International is in the business of spreading falsehood primed to indict the military while encouraging terrorist groups in Nigeria to cause bodily and psychological harm to the vulnerable group consisting of women, children and the aged.